The Five Books of Moses, the Torah, is quite simply the most widely-read, most influential literary work in all of human history. Since its first appearance in a blaze of Divine revelation on Mount Sinai over 3300 years ago, the Torah and its teachings have provoked inspired inquiry to discover its infinitely-layered designs and meanings. The ongoing Torah Studies series brings you this tradition of classical Jewish learning in a series of clear and engaging weekly classes. Probing the ideas and issues presented in each week’s Torah portion, the Torah Studies program offers timely lessons for living—from the most timeless of all texts. Each class stands alone. So, if you miss one, just join us for the following week. 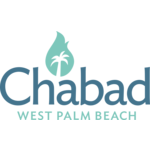 For more info please call 561-659-770 or email rabbi@jewishwpb.com.